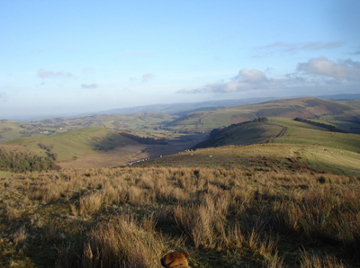 The Clochfaen stands on the route of the Wye Valley Walk - one of the best known walks in Wales - which goes from Chepstow in Monmouthshire to near the source of the River on Plynlimon in Powys, via Monmouth, Ross-on Wye, Hay-on-Wye, Builth Wells, and Rhayader, passing many small pretty villages along its route, some 136 miles (218 kilometres) in total. 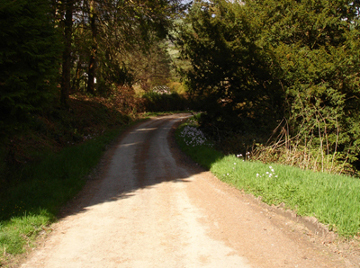 If you prefer to cycle, we have miles of quiet country roads as well as off-road routes within easy reach. Clochfaen is also within easy reach of the coast - Aberystwyth, Aberdovey and New Quay, to name but a few coastal locations. The Wye Valley combines a blend of Welsh and English influences. It has magnificent castles, bustling market towns, an artisan tradition, and in sunshine and showers, the Wye Valley is a captivating experience. Many artists, poets and writers have sought to capture the tranquil charm and beauty of this landscape, from the bard, Huw Arwystli, who praised the hospitality of Clochfaen Court in the sixteenth century. During the nineteenth and early twentieth century the house became the retreat of Princes. Come and enjoy the tradition of true hospitality, the wonderful scenery, fascinating culture and history of this area.